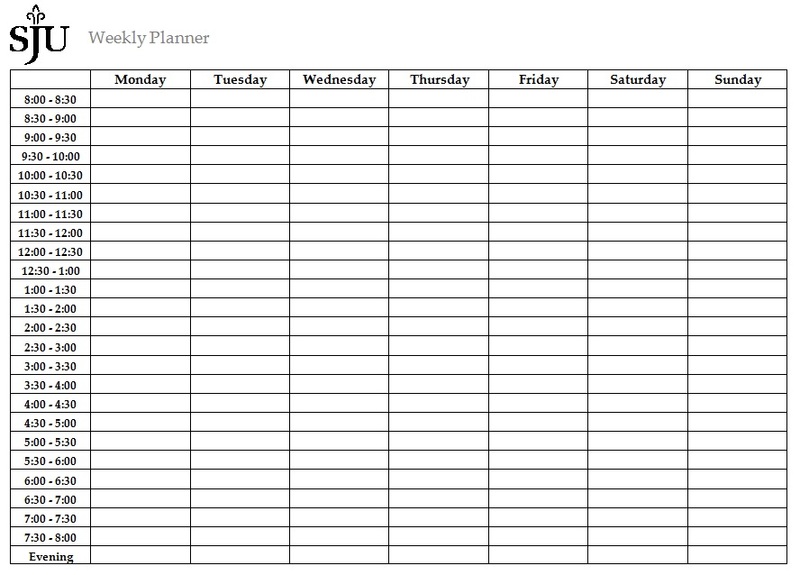 Template of a weekly class schedule. A Monday-Sunday worksheet to plan out your week. Track your courses/grades from freshman to senior year. Organize your homework assignments, quizzes, exams, etc. for each class. Evaluate the areas you use to study.